We recently spoke with Martina Perry from Marble and Mint about her business, her connections in Morocco, and her plans for 2016. 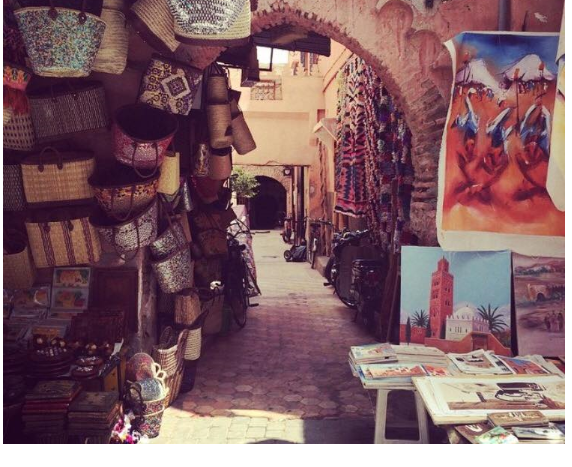 On your website you mention that you have been sourcing homewares in Morocco since 2009. How do you spread your time between Morocco and UK? My home, office and showroom are based in the UK (West Midlands). I like to travel to Morocco at least three times a year to personally select my rugs, textiles and home wares. I have an excellent network of suppliers there, all family businesses. Many are now friends who know me very well and are constantly on the lookout for new and interesting styles and products to add to my collection. Why is the Moroccan style of weaving so different (or even better?) than other styles? Rugs have been woven by the indigenous people of Morocco for centuries. Each tribe has its own style of weaving and each style is named after the region from which the tribe originates. Rugs were traditionally woven for their utility rather than decorative purposes, and used as bed coverings or sleeping mats. The nomadic tribes made lighter carpets to make them easy to transport. They have always been woven for the most part, by women, using design elements from their own personal experience, relating to birth, rural life, beliefs and spirituality. Other designs include talisman symbols, characters from the old Berber alphabet and geometric patterns. Moroccan rugs are beautiful works of 'folk art' made by untrained people in isolated locations. 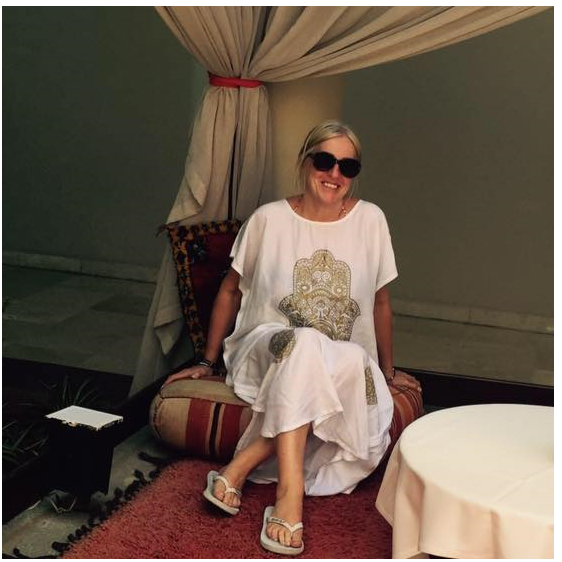 My love of all things Moroccan began in 2009 after my first visit to Marrakech, when I started selling home accessories like the traditional Moroccan pouffes. I still include these in my online store, but my main interest now is in vintage Berber rugs which make up the largest part of my collection. How did you come up with the name Marble and Mint? I wanted something that was simple, but it was difficult to come up with a name that was evocative of Morocco without including a direct reference! Some of the first products I sold were marble bathroom accessories from the south of Morocco. Mint is a reference to mint tea, which, as we all know, is served everywhere in Morocco. Hence the name Marble and Mint! My logo was derived from a Moroccan mandala design. I am constantly looking for design inspirations and creative ideas. The best advice I have ever had is not to force this. Some days it will come, some days it won't. Go with the flow..... and I suppose that's all part of being creative! Never give up on something that is your passion, and don't listen too much to other people. No one knows your ideas or your business better than you. I have always been my own worst critic, and there have been several times over the last few years that I have thought about giving up, I am so glad that I didn't! My business really is my passion, and there is nothing better than really loving your work. I'm really excited about opportunities that are opening up for Marble and Mint in 2016. Is there a new collection coming soon? 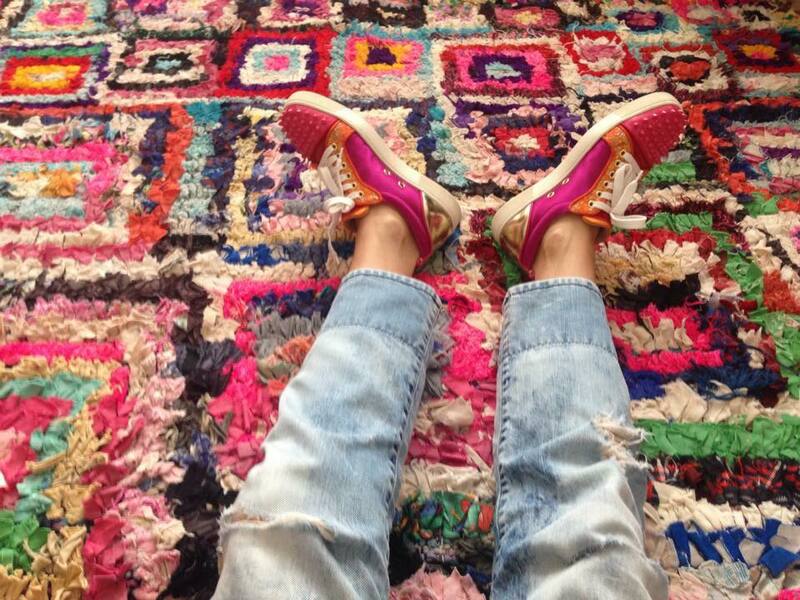 My rug collection will continue to expand as I source more and more interesting vintage pieces. My objective in 2016 is to help people to see how Moroccan rugs can fit into their own homes. They are incredibly versatile, looking equally at home in both minimalistic and traditional spaces. I hope that my recent photo shoot in London will illustrate these. I was lucky enough to be able to use two amazing photographic and studio locations for the day. Filled with both quirky vintage finds and modern pieces, it was amazing to see that every room we used was the perfect fit for more than one of my rugs. I have no plans to be involved in any shows in the UK this year, but I do hope to be involved in some design markets in Dubai, where I am keen to expand my business, although my base will still remain in the UK. My website is in the process of being re-designed. I hope that this will be completed by the end of January 2016. This will include my blog which will feature information about upcoming new products and sourcing trips to Morocco. Until then I will continue to update the 'What's New' section of my exisiting website. So many to choose from....but my eye for interiors was drawn to 'Interior' by Greg Rook. I also love dogs (all shapes and sizes) but as I'm the owner of a black Labrador, I love 'Ebony' by Joanne Simpson Connor. Part of my journey with Marble and Mint has been getting to know the Moroccan people, their culture, beliefs and traditions. Here are a few of my favourite images from my travels around this beautiful country. The first was taken in Agadir. It shows two women, the younger one having brought her breakfast from a nearby café to share with the older lady on the pavement. 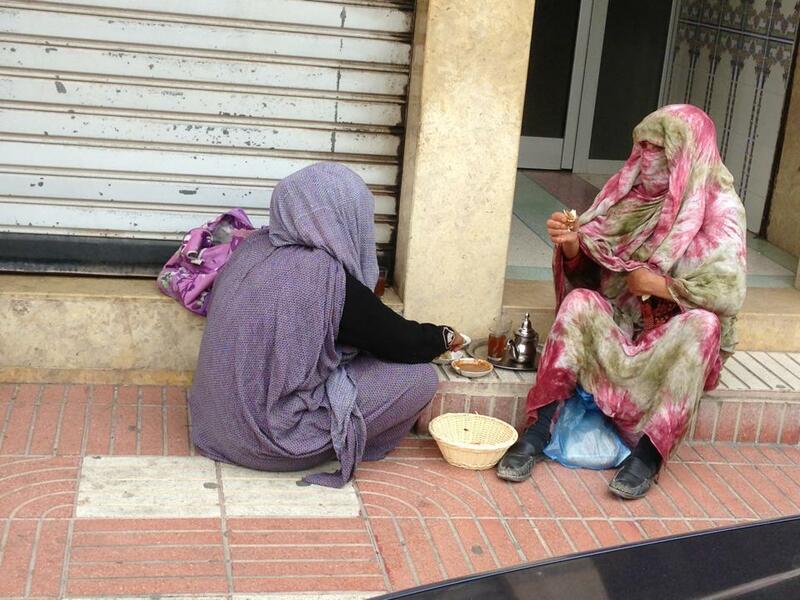 Sharing of food is something you see often in Morocco. 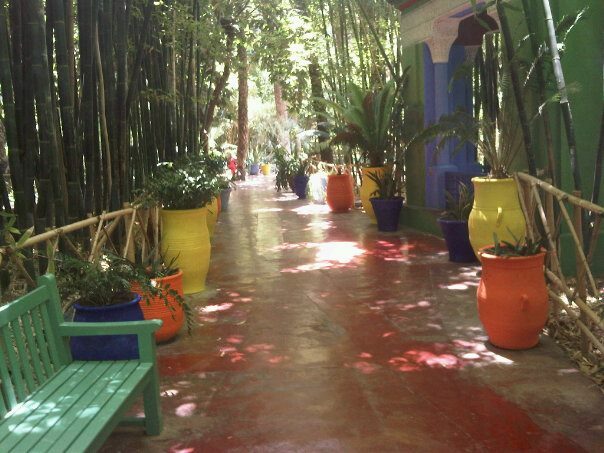 The second is one of my favourite places in Marrakech, Jardin Majorelle, designed by Yves Saint Laurent. 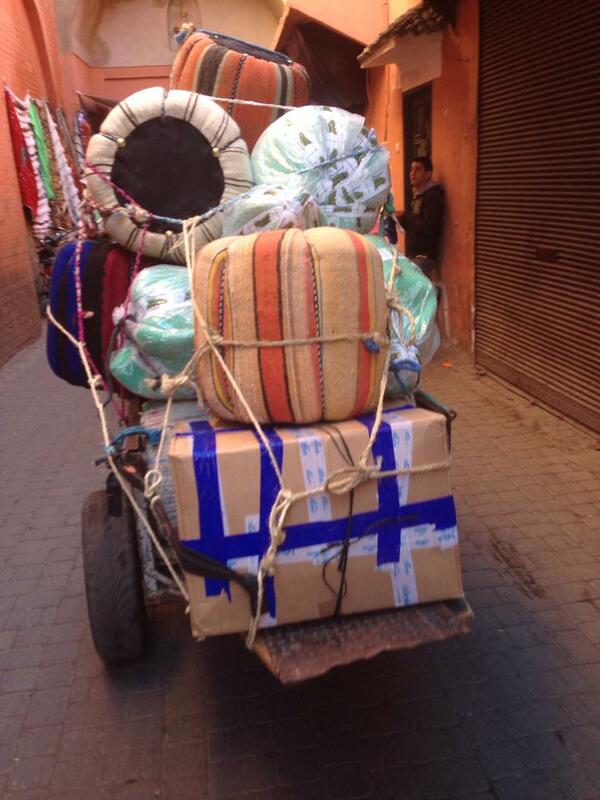 Finally, a very familiar site, my stock being transported through Marrakech Medina in the usual manner! Thanks for sharing your views with us Martina, and we wish you all the best with your plans for 2016!